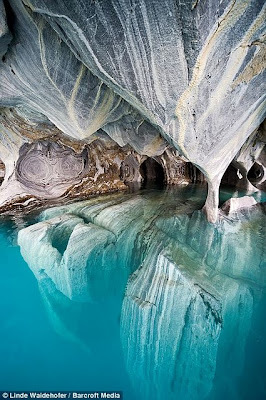 Marble Cathedral cave in chile was known as one of the most beautiful cave in the world, it's a beautiful natural wonders, there isn't any better sculptor than nature itself. 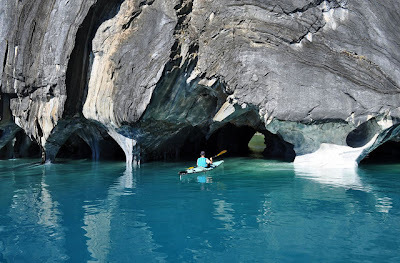 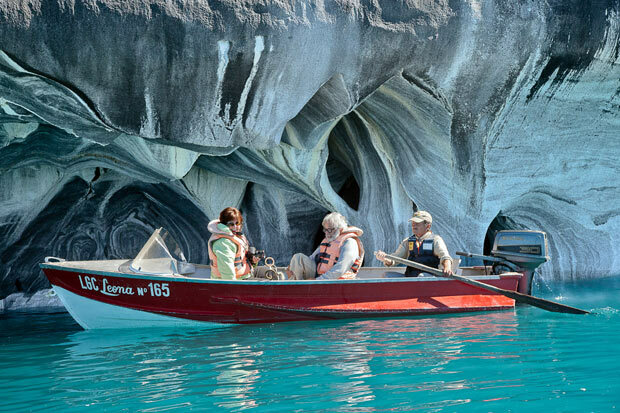 This cave is located on the second largest freshwater lake in South America, precisely at the General Carrera in Patagonia, Chile. The unique light show in the cave is caused by the reflection of the water on the marble walls. Due to the lake being fed by glacial run off, the height of the water is always fluctuating, creating an environment changes depeneding on the time of year. See also our previous post about the krubera cave the world's deepest cave. 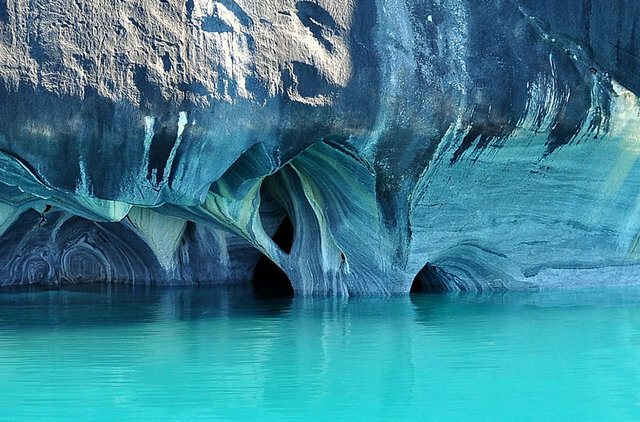 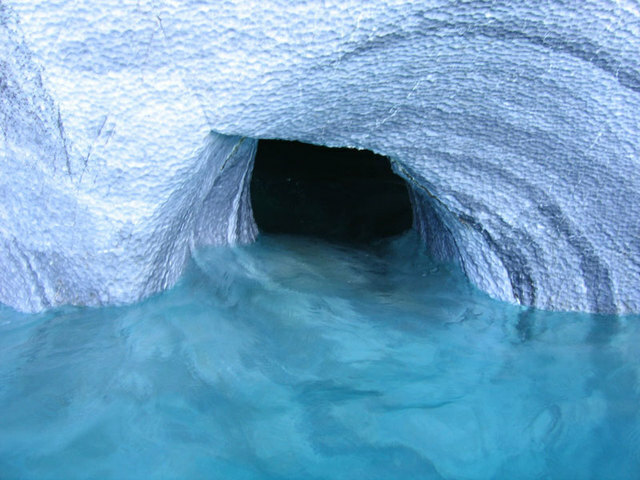 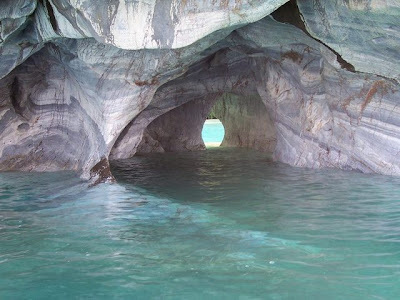 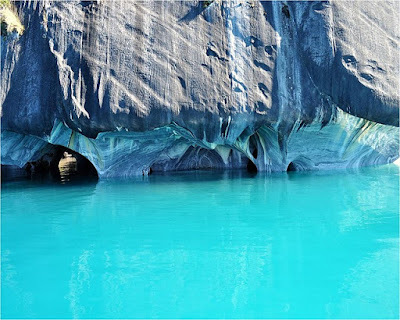 Natural Wonders of Marble Cathedral in Chile deserves to be the prettiest cave network in the world. 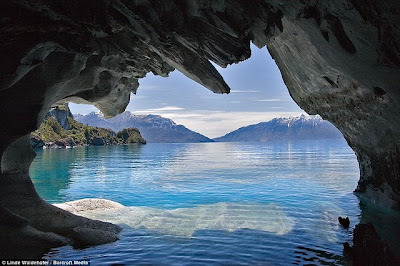 a Temple created a blue sky nature show how valuable the Earth. 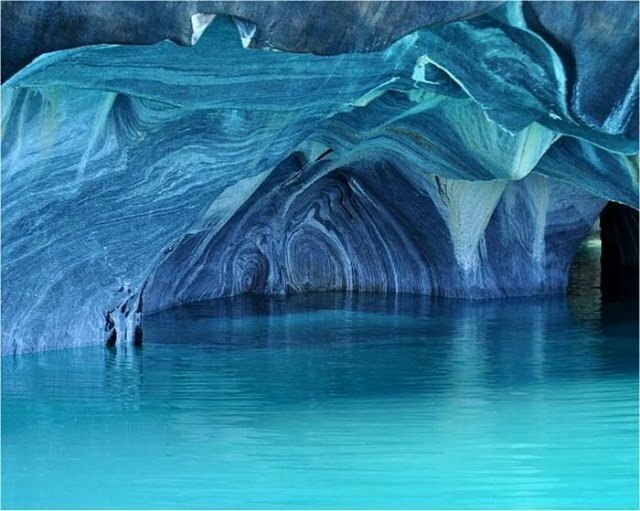 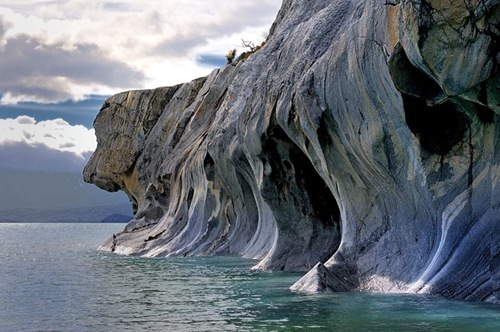 If you love to hunt the beautiful nature places so this marble cathedral in chile could became your summer travel destination. 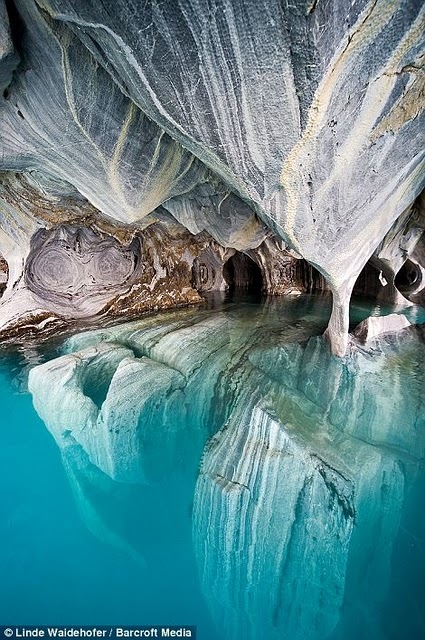 Here's more pictures from Marble Cathedral in Chile the World's most beautiful cave. 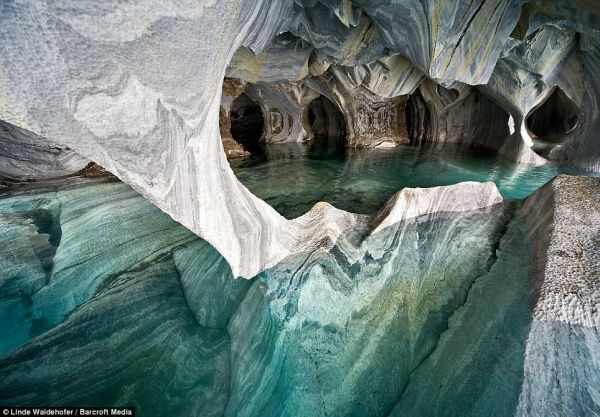 This pictures are amazing. 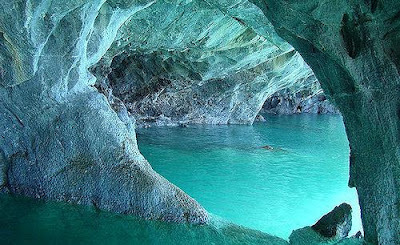 Beautiful place.